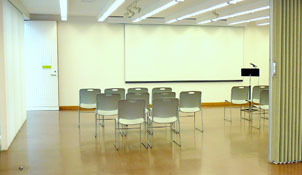 Located on the upper level of the building, the Studios consist of three meeting rooms, each with a separate entrance. They are ideal for smaller private functions, workshops or meeting spaces. The studios are divided by movable walls and can be used individually or combined to extend the space as needed. 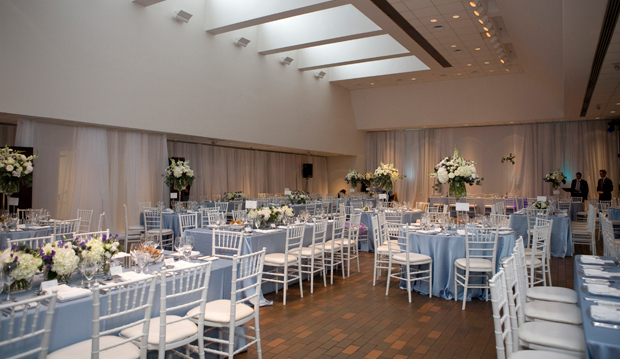 A wall of glass brings in natural light from the skylight beyond, but curtains can be drawn when audiovisual equipment is utilized.